After a few successful years, the Cobourg and Peterborough Railway ceased cross-lake operations. The Rice Lake Bridge was beyond saving. Most of the products shipped through Cobourg harbour had been destined for the United States. That American connection rescued the Cobourg-Harwood portion of the railway. Industrialists from Pittsburgh needed iron ore for their smelters, and found a good source in a mine near Marmora (about 80km by road northeast from Cobourg today). 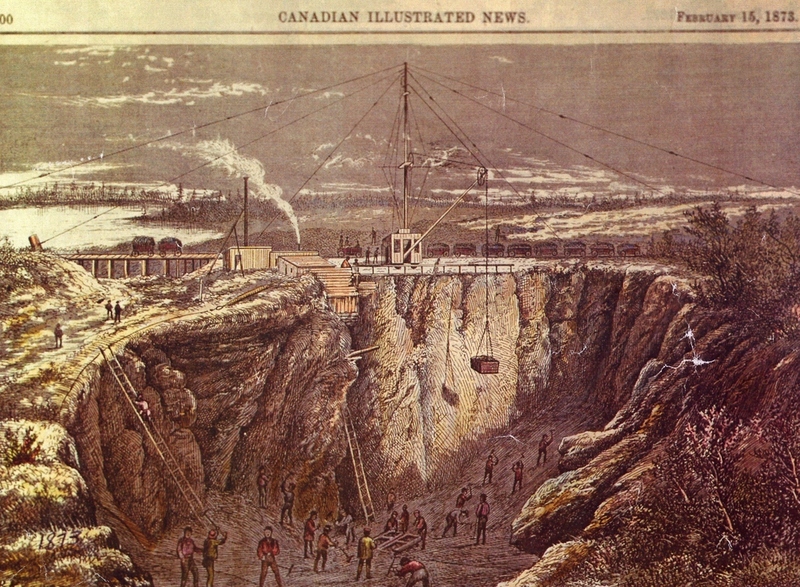 Contemporary illustration of the Blairton Mine in operation. 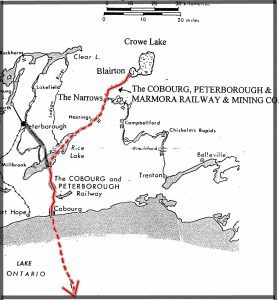 Map showing route of iron ore transported by rail and water from Blairton to Cobourg and on to the United States. They built a new rail line from the Blairton Mine to the Trent River, and used barges to carry the ore over Rice Lake to Harwood. Using the old line from Harwood, the ore eventually reached Cobourg harbour. It was then transshipped by schooner to Rochester and by train to Pittsburgh. The first shipment took place in 1867, the year of Canada’s Confederation. The operation was reasonably successful but did not last long, as less expensive sources for the ore became available. A diorama reproducing a rare photograph of workmen and equipment at the Blairton mine. What did last was the delight which the visitors from the south found in Cobourg’s climate and culture. Access via the harbour was key. The industrialists started bringing their families, they built hotels and eventually grand summer homes. 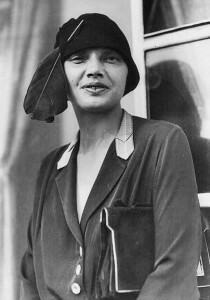 Actress Katharine Cornell (1927) loved her vacations as a child in Cobourg. The American “Colony” flourished. There were society marriages, balls and horse shows. Civil War generals, industrialists, stars of stage and screen… all were part of it. But with WWI came great change which brought the Colony to a gradual end. A few of the grand homes still remain as witnesses to a grander time.